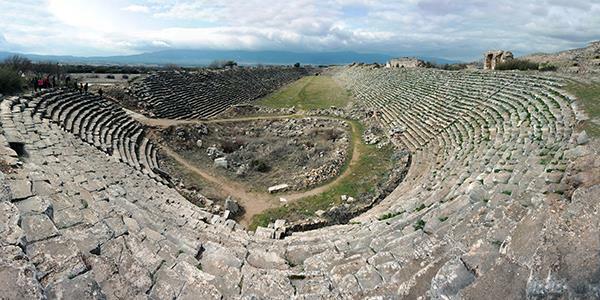 This stunning ancient site has recently made it onto the UNESCO World Heritage list! At the gathering of the Heritage Committee in Kraków in July 2017 a few additions were made to the highly-respected UNESCO world Heritage list, and one of them was the ancient site of Aphrodisias in south west Turkey. 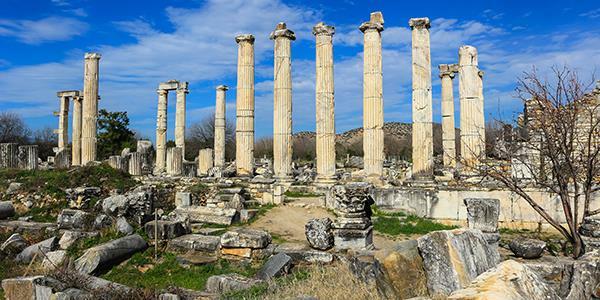 This ancient city is, in UNESCO’s own words, ‘one of the most important archaeological sites of the Greek and Roman periods in Turkey’. Once the capital of the Roman province of Caria, its remains now spread over an immense area and tells the story of the bustling community that once would have lived here. 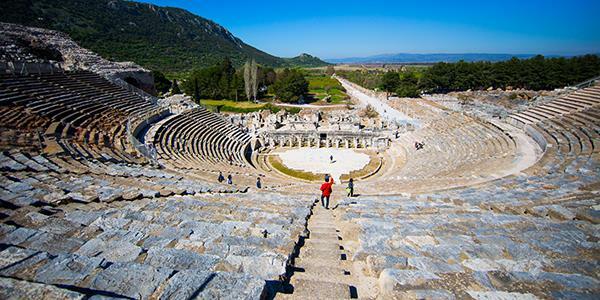 It was to become the centre of the Goddess Aphrodite, a temple was built in her name and it became known as Aphrodisias around the third century BCE. This important hub enjoyed an excellent period of prosperity between the second century BCE and the sixth century CE, even coming under the personal protection of Roman Emperor Augustus towards the end of the first century. Over time more buildings were constructed and the wonderful marble remains are drawing visitors today. The extensive historic site includes the ruins of the Temple of Aphrodite, which would have been the focal point of the town and is the oldest structure here. The ruins of the tetrapylon (a huge monumental gateway, pictured at the top) are still standing as well, and these would originally have led the public through into the forecourt of the temple. There is a wonderful semi-circular odeon, like an auditorium, which is made up of a central stage surrounded by ascending rows of marble seats. It could have been used for shows and performances as well as lectures and even competitions. For more athletic events there was a large stadium, which you can still see really clearly. The impressive central track measures roughly 270m long by 30m wide and it is encompassed by 30 rows of spectator seats. It’s thought to be the best preserved of its kind in the whole of the Mediterranean! Dedicated to Aphrodite and to the Emperor Augustus, the Sebasteion is an elegant building used as a religious sanctuary whose pillars and carvings are still stunning and very impressive even today. 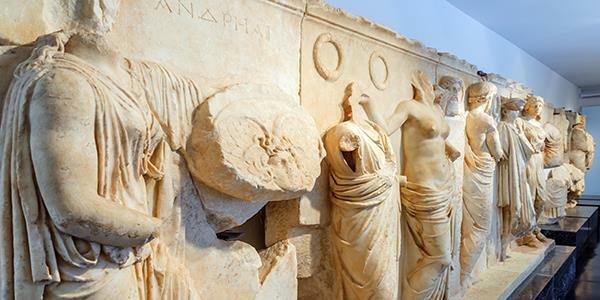 In fact, Aphrodisias is well known for its fine sculptures and the wonderfully carved marble structures. 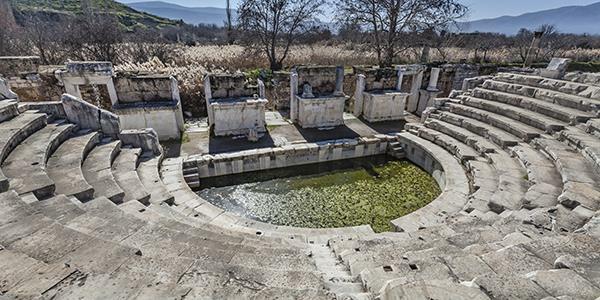 As well as the archaeological site itself, Aphrodisias encompasses marble quarries to the north; sculptors creating the site would have benefitted from the nearby constant supply of marble. You can still see carvings, sculptures and engravings onsite and many beautiful artifacts have been excavated over the years to be on display in the museum that you’ll find on site. It is estimated that the Temple of Aphrodite was constructed in the third century BCE. Though the site is older still than this it initially went by a different name. Unfortunately the site was in a natural earthquake zone and the city has been subjected to many natural disasters in its time. It was a large earthquake of the 7th century CE that finally pushed the site into a state of disrepair. It wasn’t until 1904 that the first formal excavations took place. It’s just two and a half hours north of Marmaris and just over an hour from Denizli with its closest town being Geyre. You can find it off the D585.